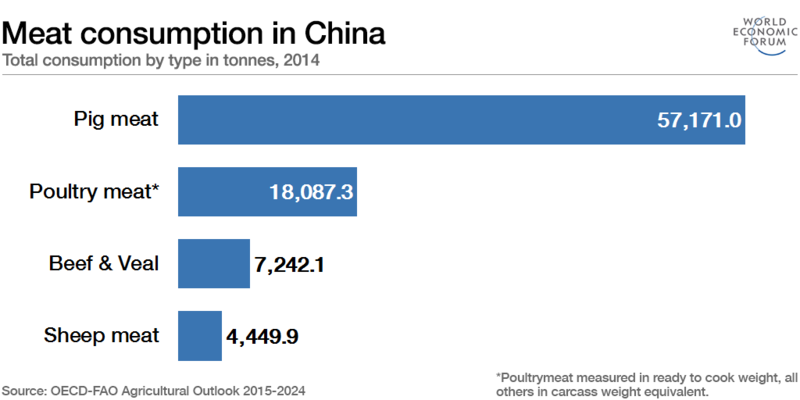 "Chinese emissions can be reduced by almost 10 percent in the next decade if Chinese people just ate half as much meat," said Jen Leung, China climate director at the U.S.-based charity WildAid. "So just try eating a little less pork in honour of a healthy Year of the Pig," she told the Thomson Reuters Foundation. In Hong Kong, famous for its dim sum and barbeque pork, one company is partnering with restaurants to promote Lunar New Year dishes cooked with its "vegan pork" made with ingredients including soybeans and peas. "Traditional belief dictates that we should not eat the same animal during their year in order to bring good luck - so pig year don't eat pork," said Alvin Lee, marketing manager at Green Monday, a social enterprise that promotes sustainable living. What’s the best way to reduce the climate impact of food? "But more importantly it's to address the issue of food safety and to mitigate climate change," he said, referring to a recent outbreak of deadly African swine fever on pig farms in China. "Animal agriculture is responsible for more greenhouse gases than all the world's transportation systems combined," PETA Asia campaigner Jason Baker said. "It's quite challenging because culturally there are quite a lot of values attached to being able to eat meat," Beau Damen, an expert on climate change at the FAO in Bangkok, told the Thomson Reuters Foundation.